The thinking about geriatrics in Chinese medicine has been dominated by Kidney deficiency for centuries. As Kidney-Jing declines as we age, the clinical approach to the treatment of the elderly has been based largely on tonifying the Kidneys. However, modern diseases of the elderly that account for 90% of mortality (cancer, heart disease and stroke) are characterized by Fullness. Quite simply, we do not die of Kidney deficiency but of Phlegm, Blood stasis and Internal Wind. Apart from the major diseases of the elderly such as cancer, stroke and heart disease, very many symptoms and signs that occur in old age are caused by Phlegm and/or Blood stasis. The following is a partial list. The following lists the major diseases of the elderly with the pathology they are due to. Stomach: lack of appetite, digestive problems, hiatus hernia, acid reflux. Skin: greasy skin, sweating, yellow moles. Internal Wind: stiff, moving deviated. For example, if we see a tongue that is swollen, purple and stiff, it indicates all three pathogenic factors of Phlegm, Blood stasis and internal Wind. When I see a tongue like that in an elderly patient, I actively invigorate Blood and resolve Phlegm for prevention. Some people think that eliminating pathogenic factors (with herbal medicine or acupuncture but especially with herbal medicine) may “weaken” the elderly. I have never found that to be true in practice: if an elderly person has Phlegm and Blood stasis, they will not be “weakened” by resolving Phlegm and invigorating Blood. Of course, one does need to adapt one’s doses to age so that dosages of herbs for the elderly should be lower than those for young people. 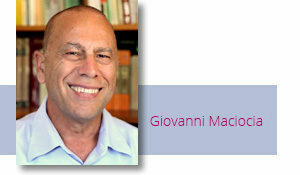 "Giovanni Maciocia is a respected guide in this transition period of East Asian medicine to the western arena. His accomplishments as a teacher and writer have made him a major force in this successful movement from one world to another. Foundations of Chinese Medicine, Practice of Chinese Medicine and Tongue Diagnosis in Chinese Medicine are all outstanding contributions of scholarship and clinical acumen, and this present volume Obstetrics and Gynaecology in Chinese Medicine significantly adds to his accomplishments. Indeed, one begins to see the outlines of a Maciocia transmission or tradition existing within our very own generation." From Dr. Ted Kaptchuk’s foreword to Giovanni’s book Obstetrics and Gynaecology in Chinese Medicine.